WASHINGTON – The Pentagon has identified $150 million for military construction projects in Arizona that could be tapped to fund a border wall, with a $30 million project at Fort Huachuca the likeliest target in the state. The Arizona projects were part of $12.9 billion in projects nationwide from which the Defense Department said it could get $3.6 billion in “emergency funding” for President Donald Trump’s wall. But the Pentagon said it does not plan to use money for military housing or for projects set to be awarded this fiscal year, which takes five of the six Arizona projects off the table – but leaves Fort Huachuca. Members of the state’s congressional delegation vowed Tuesday to fight “tooth and nail” to protect Fort Huachuca, but it’s unclear what they can do. Trump on March 15 vetoed a bill that would have blocked the emergency declaration that he said lets him shift the funding, and Congress does not appear to have enough votes to override. Lawmakers have been pressing for weeks to find out which military construction projects might be scrapped to fund the wall, and Sen. Jack Reed, D-Rhode Island, released a 21-page list late Monday that he said the Pentagon had provided. Calls to the Defense Department seeking comment on the document Tuesday were not returned. But the document said that merely being included on the list did not necessarily mean a military construction project might be used to fund a wall. The Arizona projects include $40 million for two F-35 projects at Luke Air Force Base, $15 million for construction at Davis-Monthan Air Force Base, $14.8 million for missile-motor magazines at Camp Navajo and $48.35 million for a hangar at the Yuma Marine Corps Air Station. All of those projects are expected to be awarded in this fiscal year, making them unlikely to be tapped. But the $30 million ground transport equipment building at Fort Huachuca is not set to be awarded until May 2020. Rep. Ann Kirkpatrick, D-Tucson, said in a statement Tuesday that, “No funds, I repeat – no funds, should be diverted,” for a wall. Kirkpatrick, a member of the House Appropriations’ defense subcommittee, said she will “do everything possible to fight President Trump’s attempts to divert money from southern Arizona military projects.” Fort Huachuca is in her district. Sen. Martha McSally, R-Arizona, said through an aide that she plans to fight for the fort near Sierra Vista. 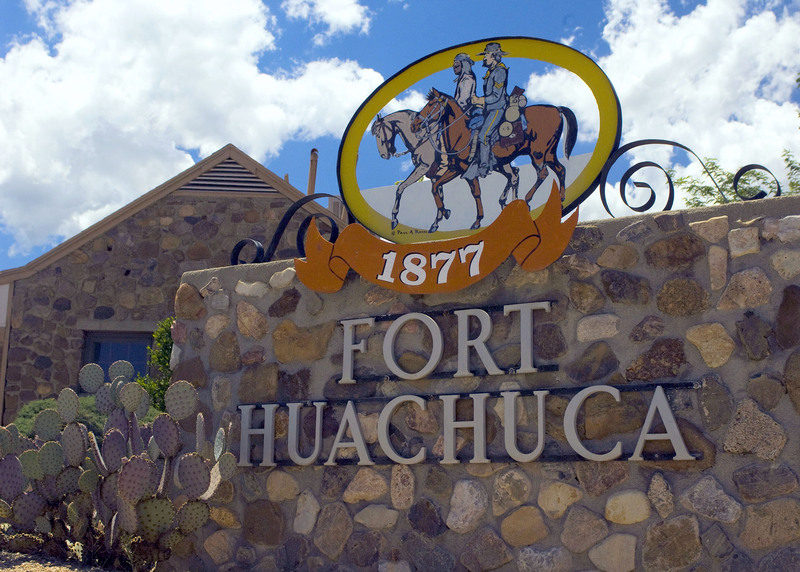 “Fort Huachuca has a long overdue project from fiscal year 2018 that we are actively working to keep off any chopping block and will fight tooth and nail to backfill if needed,” Katie Waldman, McSally’s spokeswoman, said in a statement Tuesday. But critics noted that McSally joined most other Republicans in the House and Senate by refusing to vote against Trump’s declaration of an emergency after Congress denied him the funding he wanted for a border wall. Gallego is weighing a bid to run for McSally’s seat in 2020. “The president declared a national emergency, took all the political slack for doing that, but then didn’t have a set of actions that he wanted to take,” Cancian said. Michael O’Hanlon, senior fellow and director of research in foreign policy at the Brookings Institution, agreed in an email that diverted funds are not likely have a big impact on military readiness.